"It's in a bad place right now," Ledbetter said, via Cory Woodroof of the Falcoholic. "Coach [Dan Quinn] was expecting him in here. He told us that at the owners meeting when I talked to him down there in Orlando, and then, a few weeks later, Julio informed that he's not going to be here." Ledbetter also noted the Falcons are concerned that Jones has been working out this offseason with a former wide receiver who was known for disrupting the locker room. "The fact that he's running around with Terrell Owens has the front office uneasy," Ledbetter said. "The fact that he's held out and is kind of bucking the whole Brotherhood thing has them a little bit uneasy, too. So, they'll have to mend some fences, no question about it, once he returns." 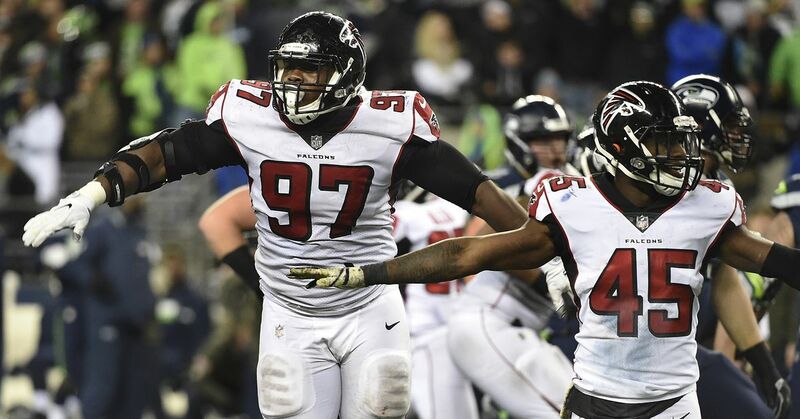 When the Falcons held their mandatory minicamp last week, Jones was not with the team as he continues to seek a new contract. Quinn doesn't seem concerned about Jones' deal being a long-term issue for either side. "The good news is that there are conversations that have begun," Quinn told reportersThursday. "We'll keep those private. I have a lot of faith in the organization and also in Julio that things will get resolved with good communications. I'm sure that'll be a part of it as well." Jones' average annual salary of $14.25 million ranks eighth among all wide receivers, per Over the Cap. He signed a five-year deal worth up to $71.5 million in August 2015.